When I made Mexican Street Corn Dip it was gone the first 45 minutes of the party! It’s an amazing appetizer!!! Roasted corn is mixed with all the great flavors of Mexican street corn in a dip! I made Mexican Street Corn Dip with corn that I roasted on the grill. If you don’t have a grill or the time to do this step you could cook the corn kernels in a dry pan on the stove. Just pour 3 cups of corn kernels into a dry pan over medium high heat and stir occasionally so that the kernels darken. 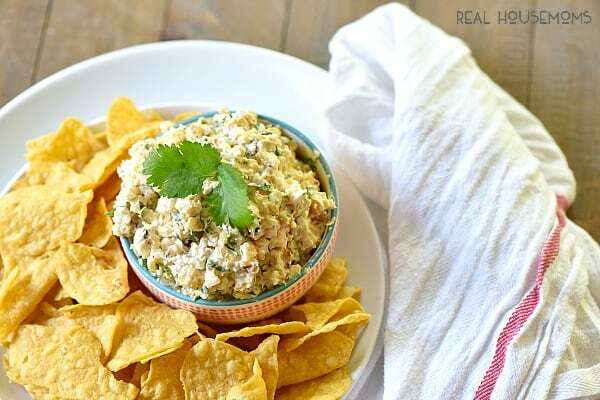 This dip is so amazing I’m going to be making it all summer long. You could even make it a day ahead of the party to save yourself some work so it’s pretty amazing! 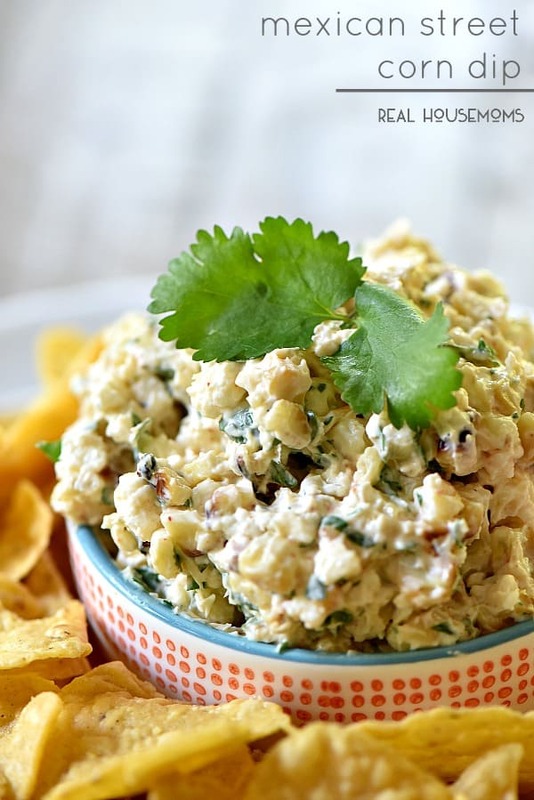 When I made Mexican Street Corn Dip it was gone the first 45 minutes of the party! It's an amazing appetizer!!! Roasted corn is mixed with all the great flavors of Mexican street corn in a dip! If you can't grill the corn you can cook it on the stove in a dry pan. Just pour 3 cups of corn kernels into a dry pan over medium high heat and stir occasionally so that the kernels darken. This dip is so amazing I'm going to be making it all summer long. You could even make it a day ahead of the party to save yourself some work so it's pretty amazing! This recipe sounds amazing but is there a substitute for Cotija cheese that I can use? I can’t find it locally. Hi Kris! You could substitute Queso Fresco or any other mild cheese you prefer, like cheddar. I can’t wait to make this dip. 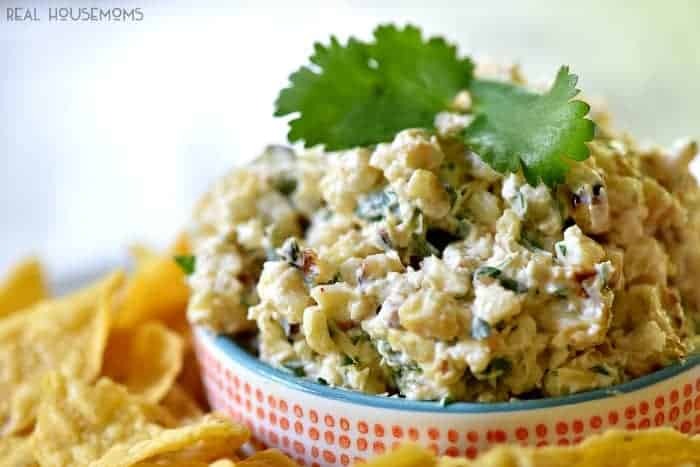 It’s definitely my favorite of all my dip recipes and my first attempt to make it will be this Memorial Day weekend for my neighbors. Thanks for posting it so quickly. It’s always fun to try your new creations! What is cotinga cheese? Could something else be used? Cotija cheese could also be substituted for Queso Fresco or any other mild cheese you like (such as cheddar).